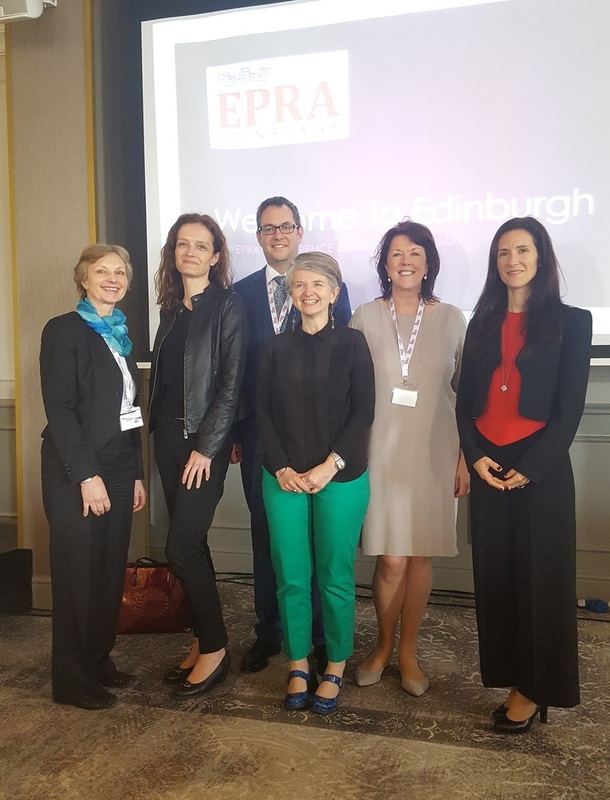 Elections for the entire EPRA Executive Board (one Chairperson and four Vice-Chairpersons) were held at the 45th EPRA meeting in Edinburgh on 19 May 2017. Celene Craig, Deputy Chief Executive at the Broadcasting Authority of Ireland was unanimously re-elected Chairperson for a period of two years. She has been involved in the activities of the Board since 2014 and as an active participant in EPRA meetings as early as 1998. In carrying out her tasks, the Chairperson will be supported by the Strasbourg-based Secretariat and by four Vice-Chairpersons. Oliver Gerber, Media lawyer at the Federal Office of Communications (OFCOM) in Switzerland joins the 5-person Executive Board for the first time. 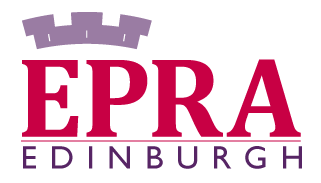 He has been an active member of the EPRA community since 2011. He replaces outgoing Vice-Chair Damir Hajduk, Vice-Chairman and Member of the Agency for Electronic Media of the Republic of Croatia, who leaves the Board after six years supporting the work of EPRA. Mònica Ariño, Director of International Affairs at Ofcom (UK), Johanna Fell, European Representative at the Bayerische Landeszentrale für neue Medien in Germany and Helena Mandić, Director of Broadcasting at the Communications Regulatory Agency of Bosnia and Herzegovina have also been re-elected as Vice-Chairpersons of the platform.